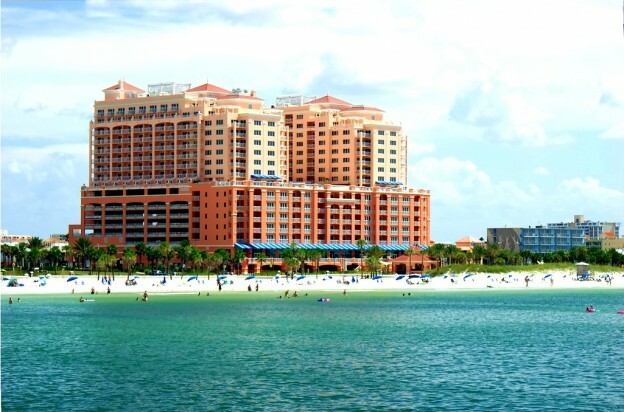 Everything seems big in Florida, including the Hyatt Regency Clearwater Beach Resort with 250 rooms over 17 floors. We’re welcomed into a spacious reception by one of several friendly receptionists on individual podiums. She cheerfully offers us a glass of bubbly before we hop into the lift and show ourselves to our room: this is an unfussy kind of luxury resort. Our suite is – guess what? – huge, with a large bedroom and ensuite bathroom, plus another bathroom off the living room, which has a second TV in it, just in case we can’t agree on what to watch. 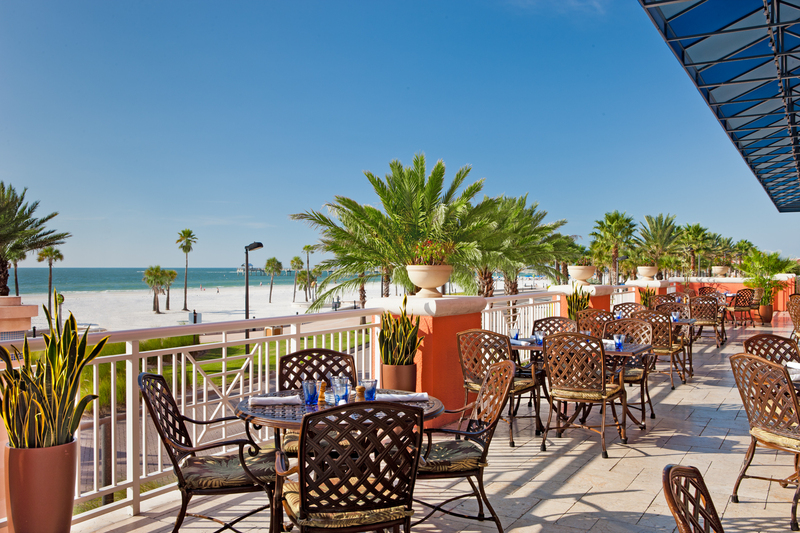 The rooms share a large balcony overlooking Clearwater Beach, a comfortable sandy beach that, while popular, never seems too crowded. Furnishings are subtle – clean, polite and unobtrusive. The bed’s extremely comfortable and the bathroom well-stocked: if it hasn’t got what you want, housekeeping can probably sort it for you (there’s a useful card listing what they can deliver). We also have a kitchen with microwave, fridge and so on – great to have the self-catering option, if you can find a supermarket to your taste. If not, you can dial a pizza or room service. 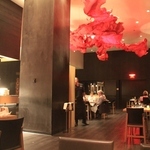 We opt to dine in the famous Shor American Grill on arrival (well, it is our wedding anniversary), and are shown to our table with a stunning sunset view. We’re served by a variety of hyper-efficient, well rehearsed staff – the kind you really only do get in America. 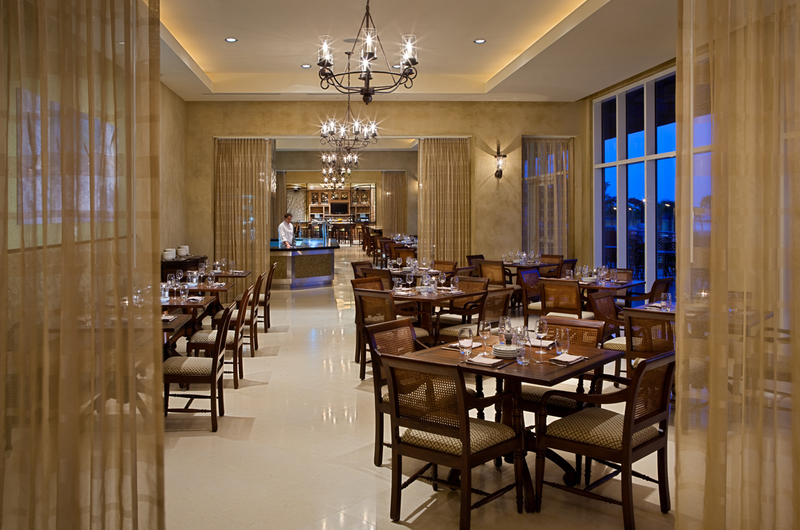 They serve generous portions of quality seafood, steaks and a well chosen wine list. We wolf down a massive bowl of goats cheese fries (allegedly a starter) before a juicy steak and a vow to visit the in-house gym. Breakfast can be taken in your room, at the Shor Grill or the in-house cafe opposite, which does a brisk trade in coffee, croissants etc. It’s good to see a number of options at this hotel – there’s no sense of feeling pressured into eating at any particular eatery, or indeed eating in-house at all (it’d be a crime not to check out at least one of the bustling beach-side cafes during our stay). Exploring the hotel, we’re impressed with the view from the hot tub, up on the 16th floor overlooking the beach. Next floor down we find a good sized swimming pool lined with sun loungers and families – mostly American and a few British. There’s a cute little bar up there with drinks deals every day, or if that’s all a bit too public you can reserve a private poolside cabana with TV, restroom, a service button and food. As we pop in and out of the Hyatt Regency Clearwater Beach resort during our stay, we find it a very relaxing place to stay. It’s a great base for exploring, and we can comfortably chill out for half a day in our suite if the mood takes us (especially useful in hot weather). We call a taxi to the airport with a tinge of regret. 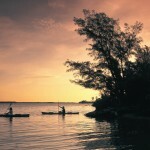 I want to stay at the Hyatt Regency Clearwater Beach Resort. How much will it cost? 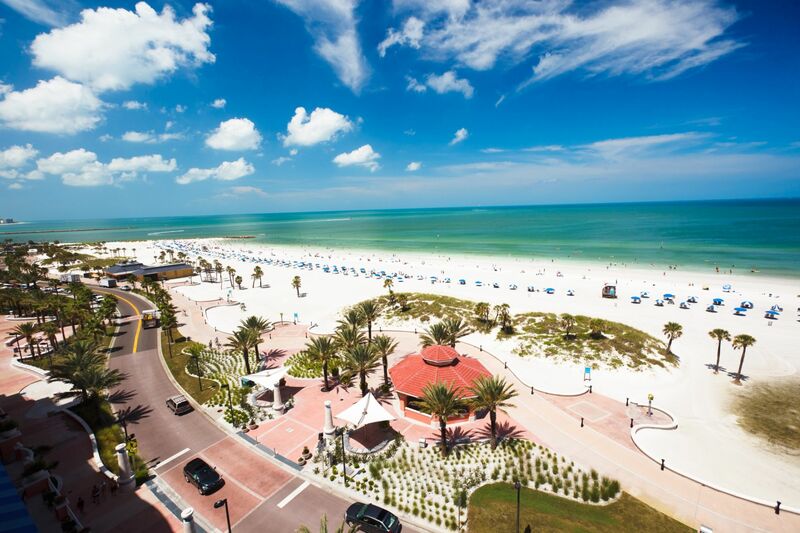 British Airways offers seven nights at the Hyatt Regency Clearwater Beach Resort & Spa, from £899 per person room only based on two adults travelling from London Gatwick in November. Bookable until 31st October. To book, visit ba.com or call or call 0844 493 0758.